The hotel is situated on level ground in one of Weston’s finest, quiet, residential areas. We have 21 bedrooms offering single, double, twin and family rooms. 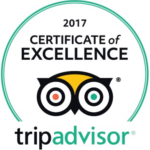 We aim to provide the highest standards of service to all our guests and encourage this throughout our culture and detailed staff training. We look forward to welcoming you to the Beachlands Hotel and making your stay an enjoyable one. We offer the following services and facilities. For assistance prior to arrival please contact the reception staff on (01934) 621401. The centre of town is a15 minute walk. A bus service is available through out the town; there is a bus stop outside the front of the hotel and runs approximately every 10 minutes. There is a company who specialises in accessible taxi service, please contact the hotel for more information. Our sample menus and tariff are available in large font or audio on request. You can contact the hotel by telephone, fax or e-mail. The reception is open between the hours of 7.00am and 11.00pm Monday to Friday and 7.30am to 11.00pm on Saturday and Sunday. We have a list of local disabled equipment hires which is available on request. All guests can use the front or rear entrance of the hotel. We have disabled access from the rear car park. There are no steps at the rear entrance of the hotel and the ground is paved, there are two steps at the front entrance. Access to the rear car park, on arrival please drive into the front car park and continue around the right hand side of the hotel, there is ample parking space at the rear and front of the hotel. If you need assistance with luggage please ask at the reception. If you are arriving after 11.00pm please contact the hotel, the hotel is manned 24 hours a day, after 11.00pm entrance to the hotel is only available from the front entrance. There are no steps in the main lobby and ground floor areas. If you arrive from the rear car park, the reception can be found via the covered walk way along the garden on your right, though the lounge area. The reception is on your right. The reception is immediately to the left of you when entering the main reception area via the front entrance. There are a number of seating areas on the ground floor. The reception desk is 110cm high. Registration can be completed whilst sitting in the lounge area. One of the reception staff can give you guidance to help you complete the registration card. On check in the staff will brief you on times of meals, location of restaurant, bar and swimming pool. An information pack is located in every bedroom, which explaining the hotel’s evacuation policy, the staff are happy to give you any additional information on request. All public areas flooring (excluding swimming pool and WCs) is short pile carpeted. Swimming pool and WCs flooring are no-slip. All public areas are on a single level with no steps. There is a large mirror in the lounge area which is at ground level. There are 2 WCs on the ground floor by reception and 3 on the upper floor via 17 steps; access to a disabled WC is available on request/availability. There are no public telephones in the public areas but outside lines are in every bedroom (dial 9 to access). Bar and Restaurant are to the right of the reception. Table service is available though out the day, please ask a member of staff. Laundry service is offered. Bags are available in the bedrooms and can be collected and returned to your room on request. There is a swimming pool and sauna available to all guests staying at the hotel between the hours of 7.00am to 9.00pm Monday to Friday and 7.30am to 9.00pm Saturday and Sunday. All facilities have changing room areas. The pool access is via graduated step with a rail in the middle to assist entry. Sauna has a front door with a small step on entry. Seating is provided. There is a rear garden available to all guests staying at the hotel, which is can be accessed by graduated steps or slope. There is a covered area at the rear of the garden for use by all guests, smoking is allowed in the garden. The Hotel has 2 rooms, which are suitable for holding conferences and meeting, both rooms are located on the ground floor with access to toilets. Equipment is available on request, such as flip harts, screens. Members of the conference or meeting can use the indoor heated swimming pool and sauna. There is parking available at the front of the hotel and at the rear. The hotel has 21 bedroom, 11 on the ground floor and 10 on the upper floor. We have a telephone direct dialling. The Hotel is fitted with an audio fire alarm, smoke detectors are fitted in every room. The bedrooms and bathrooms are generously proportioned but some have more turning and transfer space than others. We try, as far as possible to allocate bedrooms based upon individual guest needs. Every bedroom has a television, alarm clock radio, tea and coffee making facilities. The flooring in the bedrooms, is of short pile carpeting. There are bed side lights in every bedroom. We can provide non-allergenic bedding when required on request. The furniture in the rooms can be moved or removed. Guide Dogs are permitted to stay at the hotel with owners. Bedroom in formation folders can be provided in large front on request. All bathrooms are fitted with non-slip flooring. Rubber no-slip mats are available on request. We can provide bath/shower seats. Bathroom lighting is very bright and all sanitary ware is white. Assistance dogs are most welcome, other pets are not allowed in the hotel. Mobile phone reception is generally not great inside but fine in the garden or car park. We also have free-of-charge wireless internet connections. We are able to use the front and back doors as well as identified fire exits in emergency. The fire alarm sounds continuously if evacuation is needed. If you require more assistance for evacuating please notify us on arrival and we will ensure you are evacuated safely e.g. hearing impairment. The hotel is small and we are aware of each guest staying with us; you will not be forgotten under any circumstances. We are happy to take delivery of hired equipment; we do need to know what has been ordered and time of delivery. We are a no smoking property. Smoking is allowed in the garden or on the veranda if no other guest is using that facility at the time. We offer drinks during the day and in the evening. Arrangements will be made to ensure all necessary requirements are fulfilled during the night. The hotel is manned 24 hours a day, reception is open from 7.00am to 11.00pm, after this time, night staff are available in case of an emergency. The hotel does not have a night porter service. Beachlands Hotel is continually looking to improve and update its facilities for all guests. Beachlands Hotel will welcome any comments and suggestions that guests may have in which will help them to make their stay more enjoyable and accessible.